Best way to get your own domain name! The best way to get your own domain name! Internet domain market provides us with many places where we can buy Internet domain names. Competition in the market is really strong. Before we decide to buy a domain name, it is worth looking for a site where sellers offer their domains. 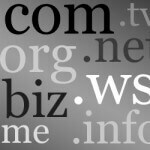 Below is a brief guide on how in a few different ways you can find and buy your own Internet domain name. Yes, it may surprise you, but the domain can also be found in advertisements; when looking for a house or a car, we often can find quite interesting domain names. There are even special web pages that have been created just for you to add and view the ads of Internet domains. If you find an interesting domain, you can contact to the seller directly, just as on a regular announcement website. There are special websites that are the home base for thousands of domains listed for sale. Oftentimes, it is the domain at a given price but there are also domains open to negotiated prices: where we can offer the price which we want to pay for a domain. It’s a bit uncomfortable for the buyer to, in the end, have to spend time on contacting and negotiating with the seller. For many people it is also difficult to appraise the value of a particular domain. There are, of course, readily available domains, with the price given so you can buy the domain right away. Direct contact with the seller is another way to purchase a domain name. Lots of domain names are registered, but there is no particular website assigned to them. By accessing this kind of webpages, we can see a message saying that the specified domain name belongs to somebody and is up for sale (usually there is information about how to contact the seller). Frequently, such domains are placed on ad sites or the domain market sites that I mentioned above. But you can also hit such names by going directly to the domain name that you are interested in. In many cases, quite interesting domains are created by chance or as hobby websites. If you really care about a particular internet address, and your budget allows you to spend on it a little more, you can always find contact information for the author of the page on the website and submit a proposal for the redemption of their domain name at a specific price. The last and probably the most popular way of buying an Internet domain name is to use the services of Internet domain registrars. In this case, you choose a name that is available and by this I mean the domain name that no one has registered yet or there is no registrant to the domain name at the moment. This situation may occur if someone has’t renewed the domain and no one else has been interested in taking over the domain. If you’ve already chosen the domain that is available, it would be the time to finalize your order. Just follow a few steps of the domain registration process (all registrars have similar procedures). You will need to give your contact details, then pay for the order, and, finally, you become the owner of the given domain name.